Pokémon: Let’s Go, Pikachu! and Pokémon: Let’s Go, Eevee! follow a very traditional formula — by outright mirroring the first-generation Pokémon games. Almost verbatim, too, if not for your sidekick Pikachu or Eevee, and for the fact you’re playing as an entirely different character. Your rival’s different, too! Spoiler alert: if you haven’t played through Kanto already, you should move onto the next section of the review. It’s all light spoilers to a plot a lot of players have already experienced before, but you’ll likely enjoy it better if you don’t know any details. Eventually, you’ll defeat the Pokémon League and become the Champion. These events take place in the Kanto region, based off the real-life Kantō region of Japan. Compared to Alola, which is chock full of references to Hawaii, the Kanto region is represented with a lot more western influences, particularly when compared to the more traditional Johto region. The Kanto story is one that we’ve analyzed before. 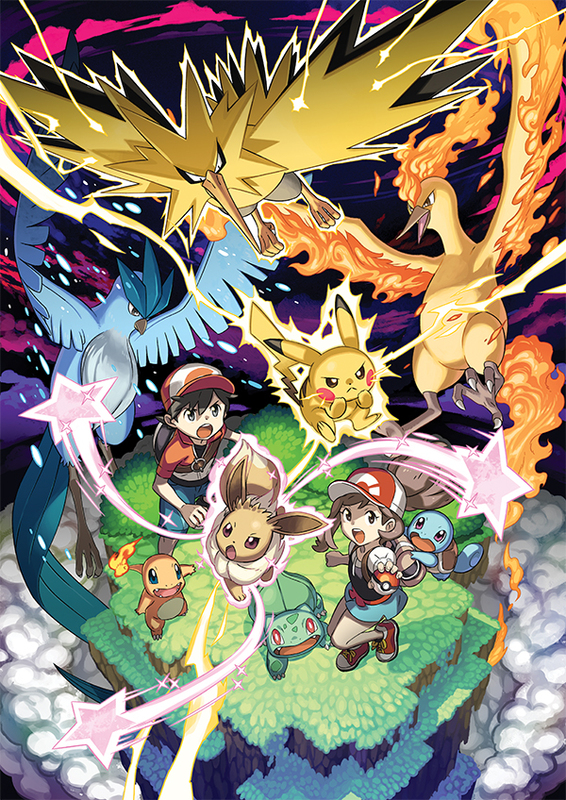 Compared to recent Pokémon role-playing games, the first few generations had less of a focus on the story. The very first generation of games formed the model that future generations would build onto. That’s not a bad thing; it gives new players access to the same enjoyable story that many of us grew with. The biggest changes to the story are linked to the new characters. Red (plus Green) and Blue, the Pokémon Trainers that generations of Pokémon fans grew up with, aren’t here. Pallet Town has now been occupied by a new crew — the male or female protagonists and their Pikachu or Eevee, plus a new rival named Trace (who, by the way, you can give a different name to, like some other rivals). Trace has been billed from his introduction as a much friendlier rival, to the chagrin of many fans who preferred Blue for his attitude to you and to Pokémon. Blue is the rival everyone loves to hate (and perhaps loves in general because of that). But put aside nostalgia and what you think a rival should be, and you get a rival character who ends up being fairly involved in the story. Being a more positive rival is likely there to engage the younger audiences, because being talked down to constantly can only be so fun. 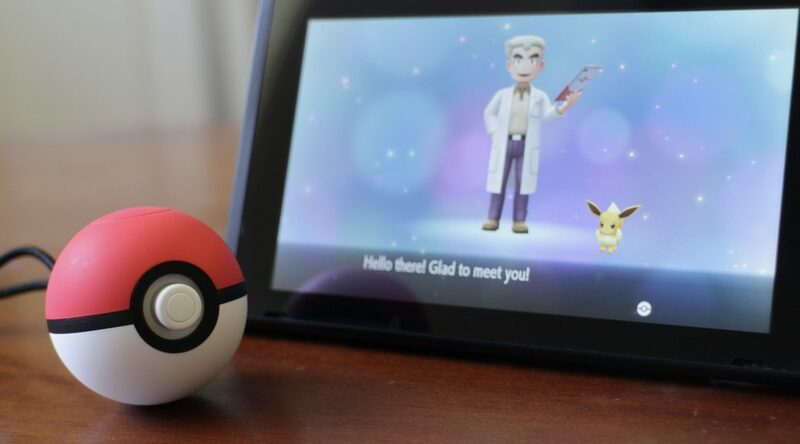 Trace starts his journey at the same time as you do, and picks the Pokémon you didn’t pick for the game — so if you have Let’s Go, Eevee!, his choice of Pokémon is Pikachu. His interactions happen much more frequently than Blue’s in the first-generation games, although he battles almost the same amount of times as Blue did. (A battle in Silph Co. gets replaced with a surprise battle against someone else.) Being a bit of a constant in the player’s journey is really nice, because being there does a lot to humanize him and make him more relatable as a character. Let’s Go, Pikachu! and Let’s Go, Eevee! feature some familiar Kantonian mainstays such as Professor Oak, the eight Gym Leaders, the Kanto Elite Four and Team Rocket. We even get the Team Rocket trio of Jessie, James and Meowth, the Pokémon TV series’ frequent antagonists who had last had their special guest appearances in Pokémon Yellow. The games also have some guest appearances who we’ve been asked not to name. And that’s it. There’s barely any significant new characters to speak of, and while some of the Gym Leaders are a little more involved, the rest are almost never seen outside their Gyms. Their personalities have been enhanced, at least, with more background information being given about them during the story as well as after it. 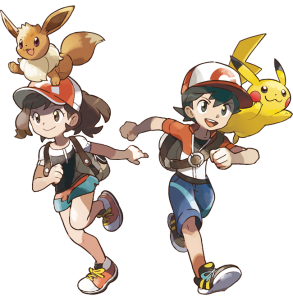 Perhaps it’s for the best to keep the story simple and not overload it with a bunch of new characters heavily involved in the plot, but it certainly ends up making the games feel a little less like more contemporary Pokémon games. If you’re looking for content after the story, the game provides a limited amount. The Let’s Go games introduce Master Trainers, who specialize in one specific Pokémon. The challenge is to defeat the Master Trainer to earn their title for their favorite Pokémon — defeat the Pikachu Master and you’ll become the new Pikachu Master. This provides some challenge: you’ll defeat the Trainer armed with the same Pokémon they’re using, and only that Pokémon, and items cannot be used either. 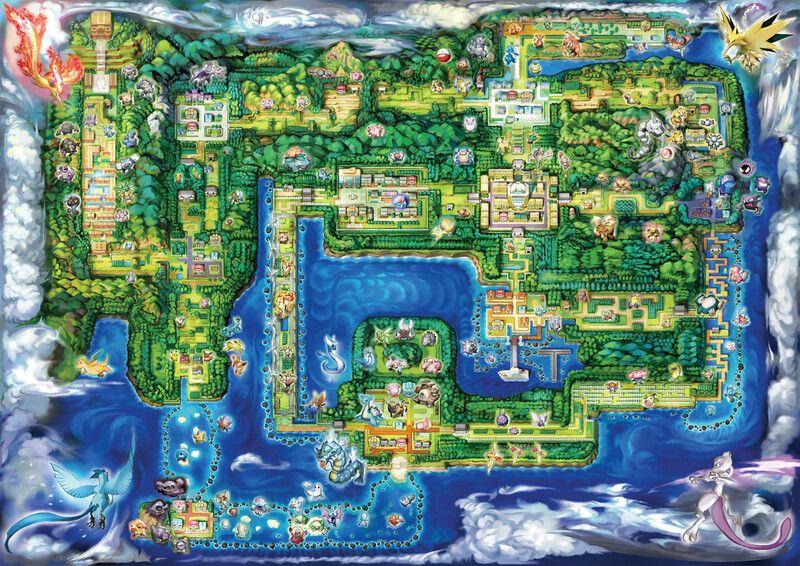 Unlike Pokémon FireRed and Pokémon LeafGreen, these remakes don’t boast any additional areas to discover like the former’s post-game Sevii Islands. Given the timespan the games were worked in, and that the Sevii Islands were there to give players a location to catch Johto Pokémon, their exclusion here isn’t all that unexpected. It’d be nice to have some unfamiliar content to explore, though, and the Let’s Go games don’t provide it. Lastly, Kanto’s Legendary Pokémon remain an optional quest with about as much bearing on the overall plot as they had in the first-generation games: barely any at all. Articuno, Zapdos and Moltres are at the same places, and Mewtwo is once again your post-game capture challenge. There is at least some challenge here: unlike most Pokémon in Let’s Go, Pikachu! and Let’s Go, Eevee!, these Pokémon must be battled by your party before you’re given the opportunity to capture them. It would’ve been nice for them to be woven into the story a little more — Mewtwo especially. They’re given the same foreshadowing as they originally had, and are given some additional cutscenes to make their introductions more epic, but that’s all we’re getting. Let’s Go, Pikachu! and Let’s Go, Eevee! was stated to be a journey through Kanto. With a different protagonist and rival, this certainly seemed like the greatest opportunity to tell a brand new story. We instead got a story largely based off the first-generation games, right down to the same evil team taking over the region. The events manage to play out almost exactly the same, except without Red and Blue playing it out to its conclusion. With the new characters in the mix, it’d be nice to introduce new scenarios, like an expanded lore for Legendary Pokémon, perhaps the integration of characters such as Koga’s daughter Janine, or the whole cast of Team Rocket’s administration. That the game ends up playing out the same, with barely any new scenarios or other characters, even past ones, thrown in, seems like a lost opportunity. It’s not that big a deal, but if you’ve already played Pokémon Red, Blue, Yellow, or their remakes, then you’ve largely seen the setting and gone through the story, and there’s not too much more to discover.